Meet the new flagship of Nikon's outstanding DX-format HDSLR line-up: the D7100. Incorporating recent advancements in HDSLR technology, the D7100 brings a thrilling new level of image quality, speed, connectivity and creative capabilities—a specially designed 24.1-megapixel DX-format image sensor, superior low-light performance, ultra-precise autofocus and metering, advanced video recording features, built-in HDR, mobile connectivity and much, much more. Pair it with any of Nikon's superb NIKKOR DX- and FX-format lenses, versatile Speedlights and accessories, and the D7100 will be the centerpiece of your creativity for years to come. The D7100 marks an exciting advancement in image quality for high-resolution DX-format cameras. 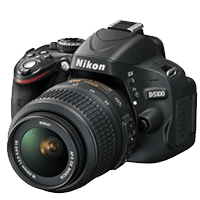 Nikon specially designed its 24.1-megapixel DX-format CMOS sensor without using an optical low pass filter (OLPF), resulting in the purest, sharpest images using D7100's DX-format CMOS sensor. Combine that with fantastic ISO performance at both ends of the spectrum—down to ISO 100 and up to ISO 6400—the processing speed and intelligence of EXPEED 3 and the extra lens reach of a 1.3x crop factor, and the D7100 is the ultimate tool for those seeking a lightweight DX-format HD-SLR. 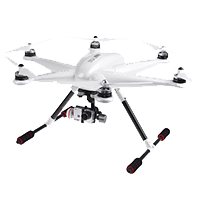 When the action speeds up, fire a blazing fast 6 frames per second continuously for up to 100 shots. Building on the acclaimed autofocus system from the D300s, the D7100 uses 51 focus points, including 15 cross-type sensors for detecting both vertical and horizontal contrast variations, to achieve fast, precise focus. The central cross-type sensor works all the way down to f/8, a huge advantage when using compatible teleconverters. At the same time, a highly accurate 2016-pixel RGB sensor evaluates every scene, taking into account brightness, contrast, subject distance and color, for spot-on auto operations like Face-Priority and full-time autofocus during video capture. The D7100 makes it easy to share your great photos immediately, wherever you are. Connect the optional WU-1a Wireless Mobile Adapter and instantly transfer shots to a compatible smartphone or tablet±, then upload them to the web, send by email or text—share them however you like. With Nikon's free Wireless Mobile Utility installed on your smartphone or tablet (available for both Android and iOS), you can also remotely control the D7100. Use your phone or tablet as a Live View monitor to take shots without having the camera in your hands, a huge advantage for everything from self portraits to digiscoping with a Nikon fieldscope. With full-time autofocus and manual exposure control during video recording, a built-in stereo mic and an external stereo mic jack, headphone and HDMI jacks, the D7100 achieves exceptional cinematic reproduction and quality. Record in several high-definition formats: [email protected]/60i, [email protected]/25/30p or [email protected]/60p. Dual SD card slots give you additional recording time, and an all new 60i function enables smooth playback on HDTVs or external monitors. And, of course, every shot looks great through a NIKKOR lens. Create beautiful background blur with the AF-S DX NIKKOR 35mm f/1.8G, or use the AF-S DX NIKKOR 10-24mm for an ultra-wide-angle view that's perfect for establishing shots and working in tight interiors. The D7100 will inspire your creativity to new heights. Built-in HDR (High Dynamic Range) combines shots taken simultaneously at different exposures into one beautifully rich, high-contrast image. Picture Control gives you instant access to the color characteristics of your images, and spot White Balance control for Live View shooting makes setting the white balance as easy as pointing to the area in the frame that should be white. You can even apply artistic Image Effects to both stills and videos in real-time. 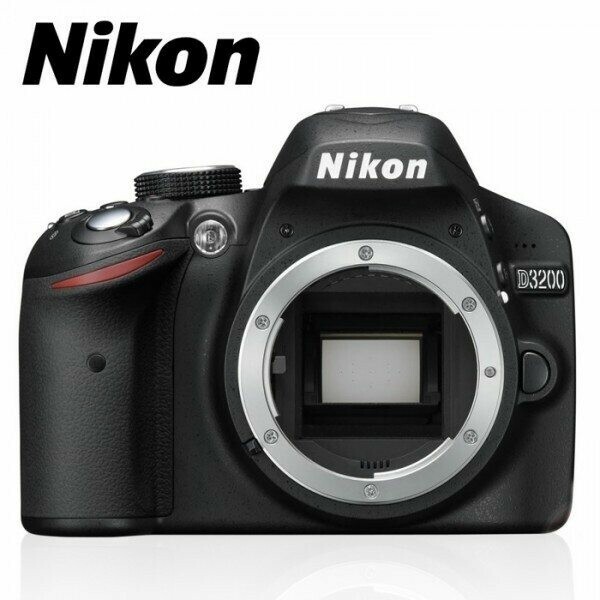 The D7100 has the comfortable handling and durability of a high-end Nikon camera. A durable magnesium alloy body with moisture and dust resistance protects the camera's internal parts from the elements. A new 3.2-inch ultra-high-resolution 1,229K-dot LCD monitor provides crisp image playback, menu adjustments and Live View shooting, and a new viewfinder with a low-power consumption electro-luminescent (EL) data display provides approx. 100% frame coverage. 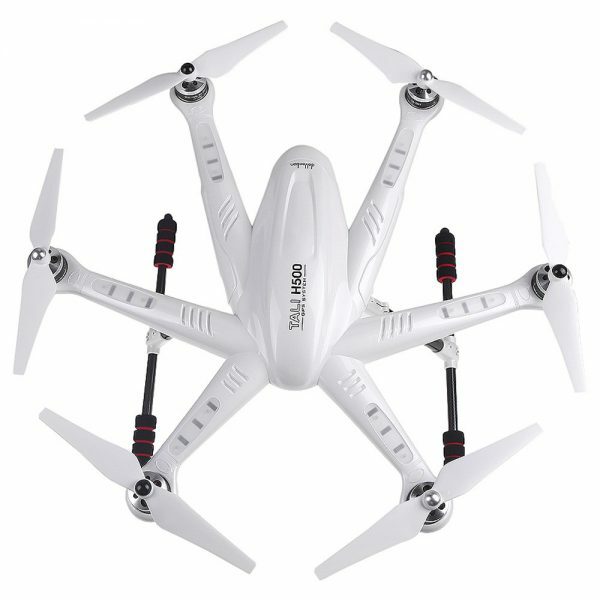 Purchase this product now and earn 145 Sky Points! Meet the new flagship of Nikon’s outstanding DX-format HDSLR line-up: the D7100. Incorporating recent advancements in HDSLR technology, the D7100 brings a thrilling new level of image quality, speed, connectivity and creative capabilities—a specially designed 24.1-megapixel DX-format image sensor, superior low-light performance, ultra-precise autofocus and metering, advanced video recording features, built-in HDR, mobile connectivity and much, much more. Pair it with any of Nikon’s superb NIKKOR DX- and FX-format lenses, versatile Speedlights and accessories, and the D7100 will be the centerpiece of your creativity for years to come. 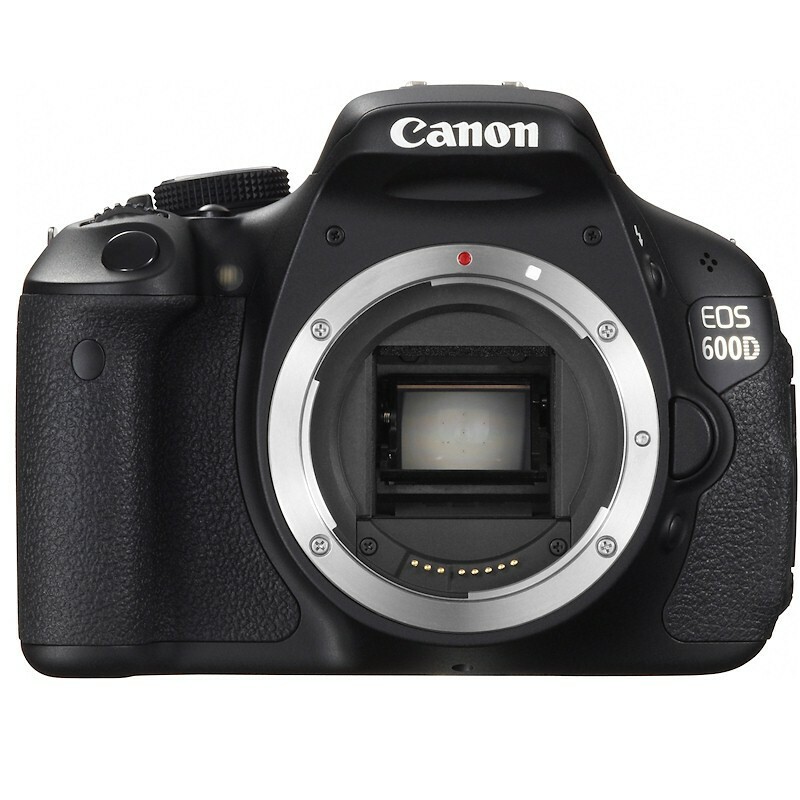 The D7100 marks an exciting advancement in image quality for high-resolution DX-format cameras. Nikon specially designed its 24.1-megapixel DX-format CMOS sensor without using an optical low pass filter (OLPF), resulting in the purest, sharpest images using D7100’s DX-format CMOS sensor. Combine that with fantastic ISO performance at both ends of the spectrum—down to ISO 100 and up to ISO 6400—the processing speed and intelligence of EXPEED 3 and the extra lens reach of a 1.3x crop factor, and the D7100 is the ultimate tool for those seeking a lightweight DX-format HD-SLR. The D7100 makes it easy to share your great photos immediately, wherever you are. Connect the optional WU-1a Wireless Mobile Adapter and instantly transfer shots to a compatible smartphone or tablet±, then upload them to the web, send by email or text—share them however you like. With Nikon’s free Wireless Mobile Utility installed on your smartphone or tablet (available for both Android and iOS), you can also remotely control the D7100. Use your phone or tablet as a Live View monitor to take shots without having the camera in your hands, a huge advantage for everything from self portraits to digiscoping with a Nikon fieldscope. With full-time autofocus and manual exposure control during video recording, a built-in stereo mic and an external stereo mic jack, headphone and HDMI jacks, the D7100 achieves exceptional cinematic reproduction and quality. Record in several high-definition formats: [email protected]/60i, [email protected]/25/30p or [email protected]/60p. Dual SD card slots give you additional recording time, and an all new 60i function enables smooth playback on HDTVs or external monitors. And, of course, every shot looks great through a NIKKOR lens. Create beautiful background blur with the AF-S DX NIKKOR 35mm f/1.8G, or use the AF-S DX NIKKOR 10-24mm for an ultra-wide-angle view that’s perfect for establishing shots and working in tight interiors. 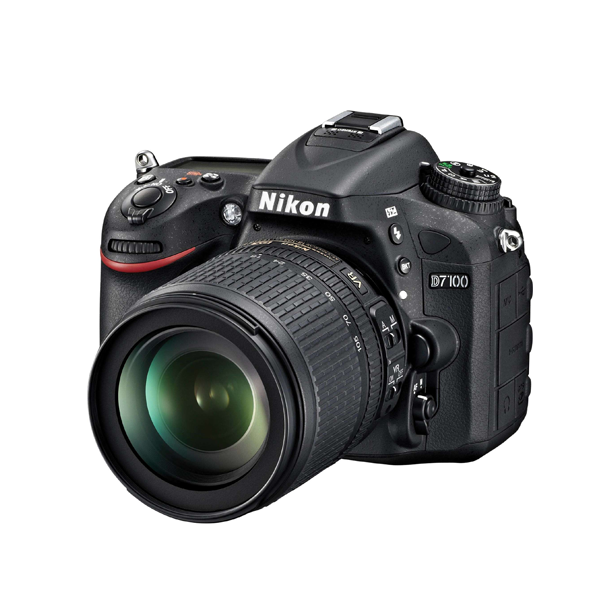 The D7100 has the comfortable handling and durability of a high-end Nikon camera. 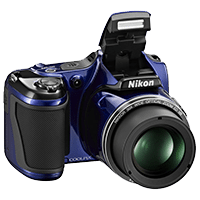 A durable magnesium alloy body with moisture and dust resistance protects the camera’s internal parts from the elements. 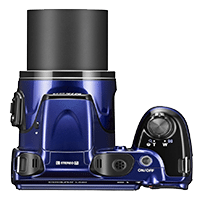 A new 3.2-inch ultra-high-resolution 1,229K-dot LCD monitor provides crisp image playback, menu adjustments and Live View shooting, and a new viewfinder with a low-power consumption electro-luminescent (EL) data display provides approx. 100% frame coverage.